Snatcher marks Metal Gear creator Hideo Kojima’s second time as a video game director. The game was originally released in 1988 and was remastered and translated into English only once. 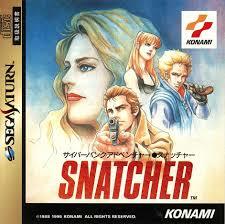 The English language version of Snatcher appeared on the Mega-CD in 1994 and since Kojima’s breakout success with Metal Gear Solid, the game is become a highly sought-after title. But is the game any good? Find out in our full review of Snatcher for the Mega-CD! Now here’s an interesting little development (even if it is only slightly related to SEGA)! 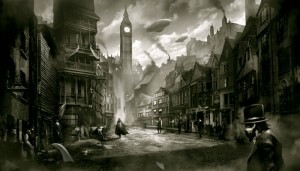 Key developers behind Mega-CD and Saturn game ‘Snatcher’ have joined forces to create a new Japanese adventure game called Blakemore. The game is set in a steampunk, alternate universe version of London. The game is being directed by Jeremy Blaustein, the man responsible for the English-language version of Snatcher on Mega-CD (this has been the only time the game was ever available in English). Art is being handled by Satoshi Yoshioka who worked as the character designer on the original Snatcher and music is being handled by Motoaki Furukawa who did the soundtrack for the original Snatcher. Snatcher is famous for being Hideo Kojima’s second ever game and features some small references to Metal Gear. Curiously, David Hayter is being brought on board for Blakemore (famous for voicing Solid Snake in the Metal Gear Solid) to voice one of the characters. If you’re interested in helping the development of Blakemore you can back the game on Kickstarter. The game is due for release on PC and MAC in early 2015. Click here to go straight to the Kickstarter page.